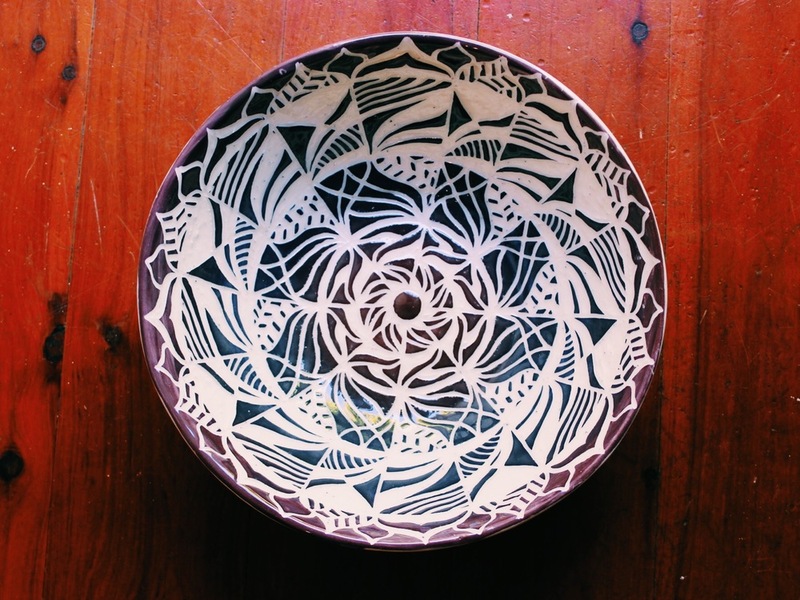 Lara has become known for her mandala-designed earthenware ceramics. 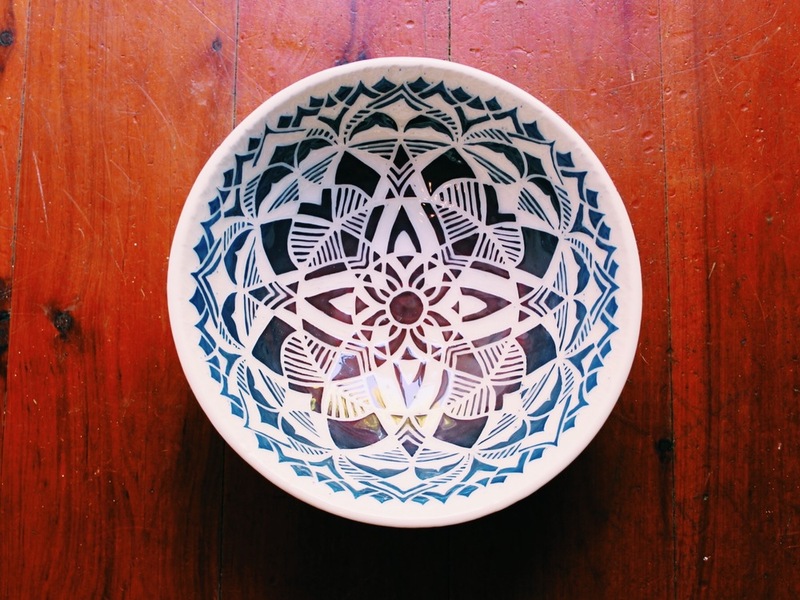 Each vessel is handmade on the wheel, painted and skilfully carved before firing and glazing. She doesn't use a stencil and every design is a spontaneous creation. As such, each piece is unique with no two the same. Lara draws many parallels between the practices of yoga, meditation and working with clay – click here to read more. 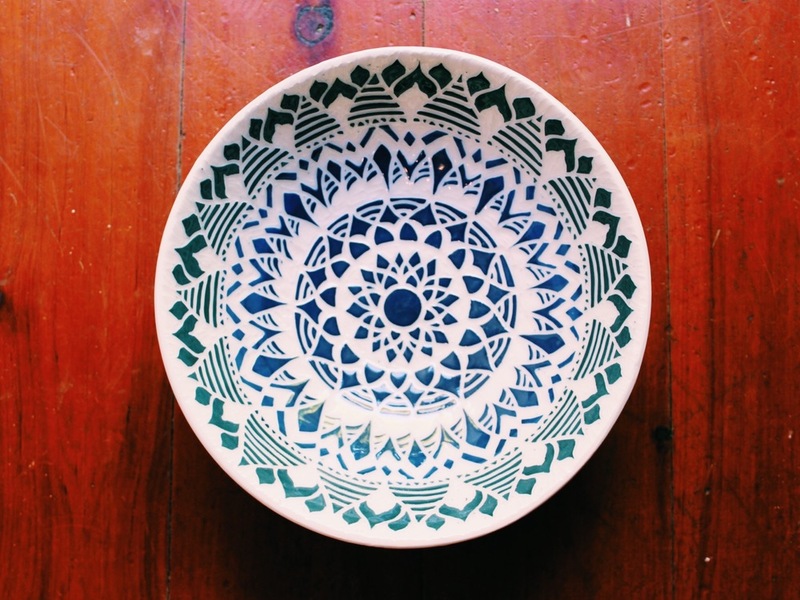 All work is 100% food-safe and dishwasher friendly, however Lara recommends washing by hand to protect the intricate designs. If you would like to purchase a gift for yourself or someone else, Lara has a limited selection of bowls ready for sale, however she generally works by commission. Prices range from $80 - $300 depending on size, detail and design. For enquiries and orders, fill out the form below. View the clip below to see Lara in action. Video made and produced by Business Insider. The mandala is an archetypal image whose occurrence is attested throughout the ages. It signifies the wholeness of the Self. I'd love to stay in touch!! Join with your email address to keep up to date with all news, upcoming retreats and blog posts.